ADATA recently launched the Apple MFi-certified Sync & Charge Lightning cable series for hassle-free iPhone, iPad, and iPod charging and cross-device data sync, helping users access more efficient mobility. The 100cm-long cables offer a highly stylish design and high-grade wiring to support 2.4A charging, cutting down on battery top-up times. 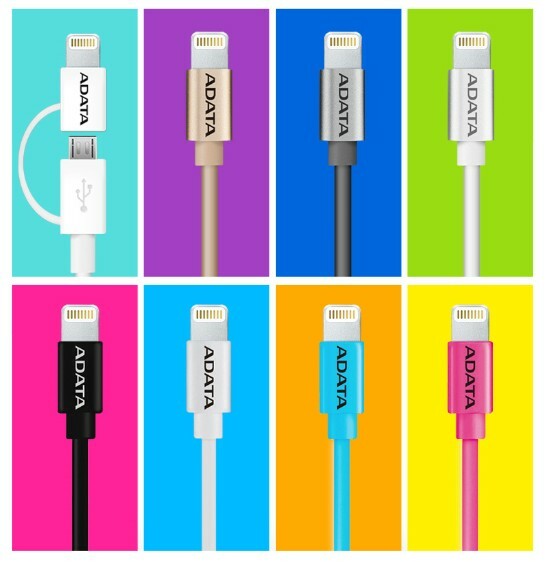 Cables are insulated to eliminate electromagnetic interference, and ADATA offers a 2-in-1 version that combines Lightning and microUSB interfaces. The white 2-in-1 version includes a built-in microUSB adapter that allows the cable to be used with Apple devices as well as compatible Android devices, ensuring nearly universal coverage that brings the same luxurious design and meticulous quality to the widest user audience possible.